Can you see the church? 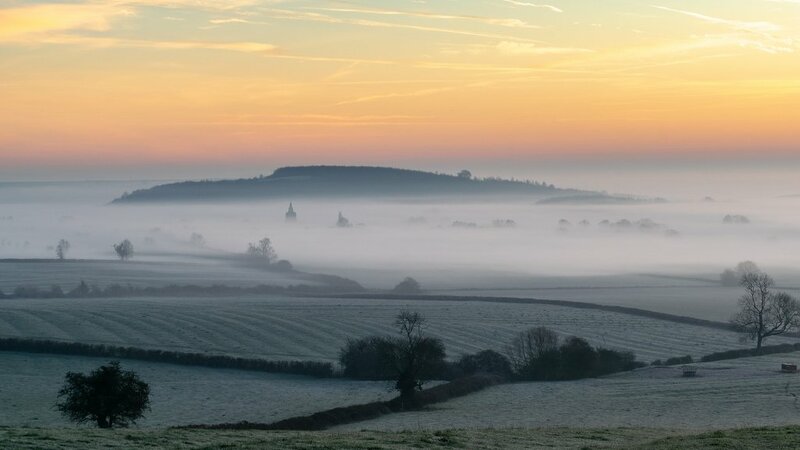 I like how the valley fills with fog and covers the village of Lyddington below just leaving the spire of the church to be seen. Three minutes after I took this the church disappeared as well! This is magical, love it! Gorgeous! I love all the layers, the muted foreground colors, and the glorious vibrant sky. It really is magical. Super photo! Ye, I make out the steeple! Beautiful magic in the mist! Oh wow that is stunningly beautiful. yes, submerged in fog, isn't it? such a good capture of the atmosphere of this. Yes I can ... Fog is amazing as to how fast it changes... lovely shot and light .. Such a beautiful foggy landscape. Yes, I see the church - glad you got this shot in time! Blimey. You may as well have a fav. A beauty! Congrats Richard on the TT!